iOS App Gamification, Android App Experts Hey A.J. It's Bedtime! | iOS App, Android App for Martellus Bennett | Koko Digital Interactive mobile app for Digital Leaf and The Imagination Agency. Available on iOS and Android. 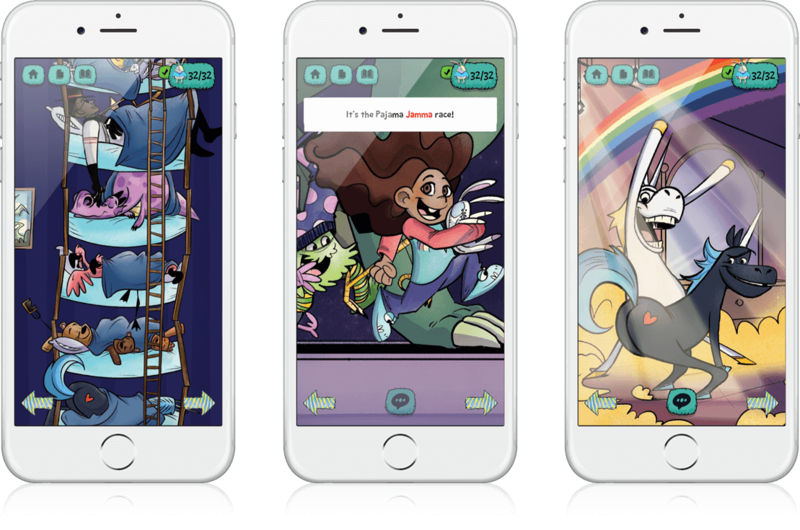 Interactive story with the option to have a narrator, collectables, bonus games and trophies that you can earn throughout the app. THE IMAGINATION AGENCY - As a former NFL player and Superbowl champion, Martellus Bennett has had his fair share of bumps and bruises, but with Koko it was a plain sailing collaboration! We’ve worked together before and this project was another rewarding experience, thanks Martellus! 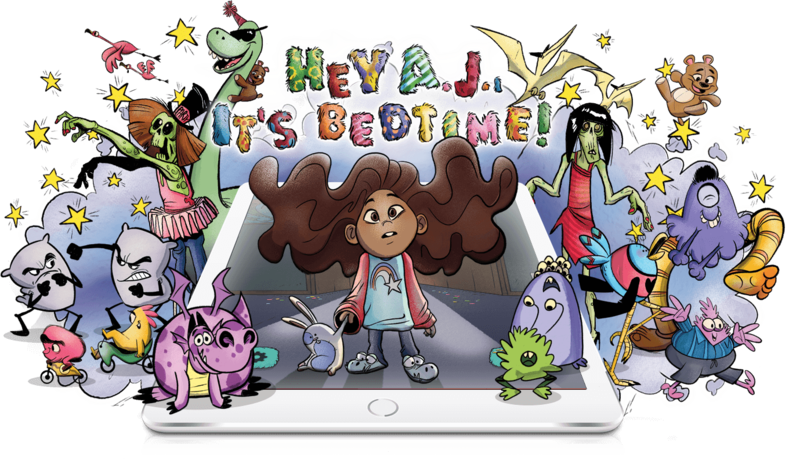 Martellus Bennett wanted his next book in the children’s series Hey A.J. made into an interactive storybook. We were given the opportunity to advance on our previous work with even more games and new features, again aimed at the youth market. 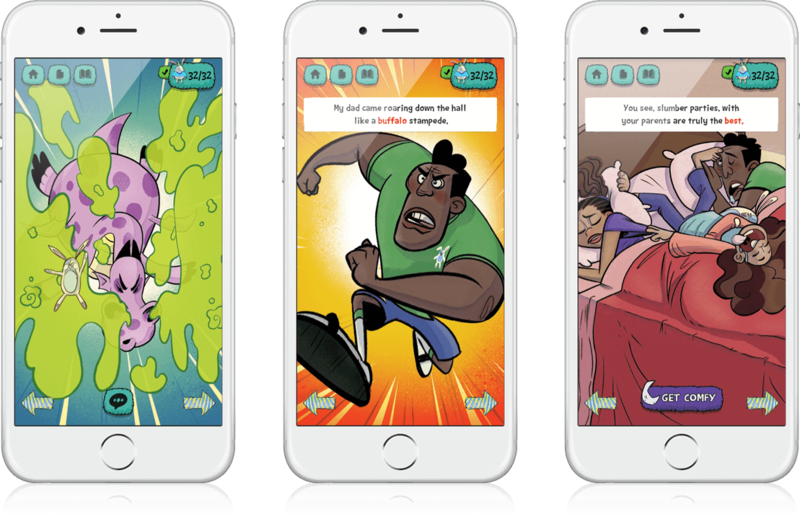 Gamification elements were to be a key tool in motivating participation and bringing the book to life! The Hey A.J. It’s Bedtime! app resulted in being a great training tool for kids on their reading journey using word highlighting and read aloud functions. Interaction is rewarded, learning fun facts earns users party badges plus unlockable trophies contribute to player satisfaction. 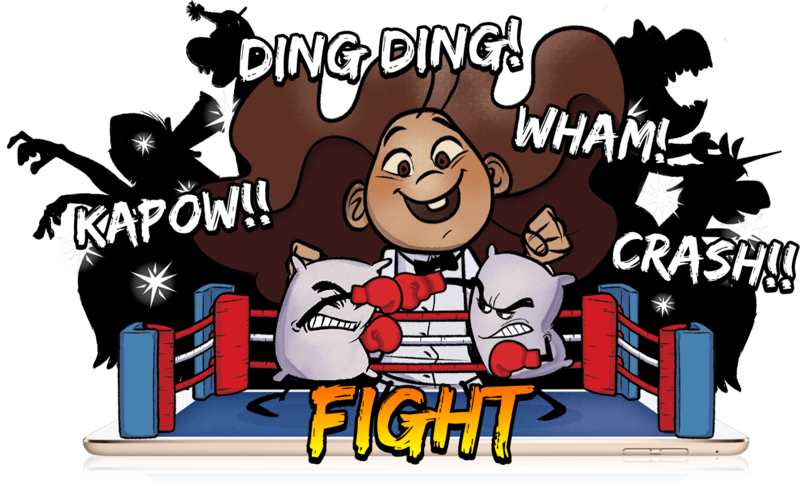 Users can pillow fight with Floyd Mayfeather (yes, you read it right! 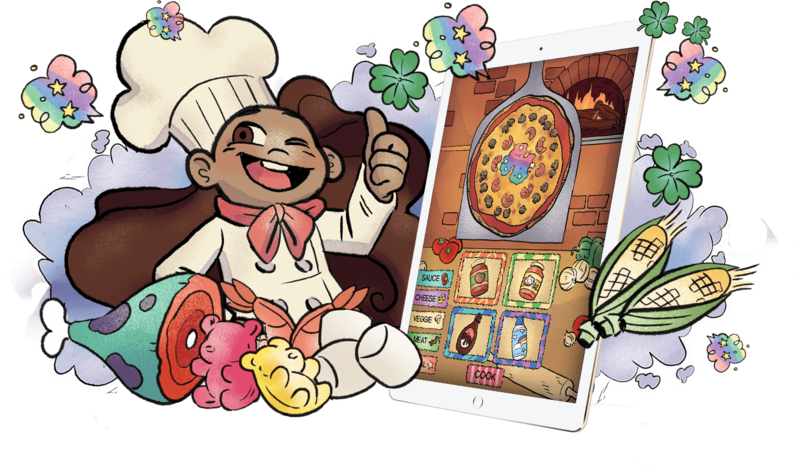 ), make pizzas with dinosaurs and dance with unicorns! The app is available on IOS, Android and Amazon platforms.